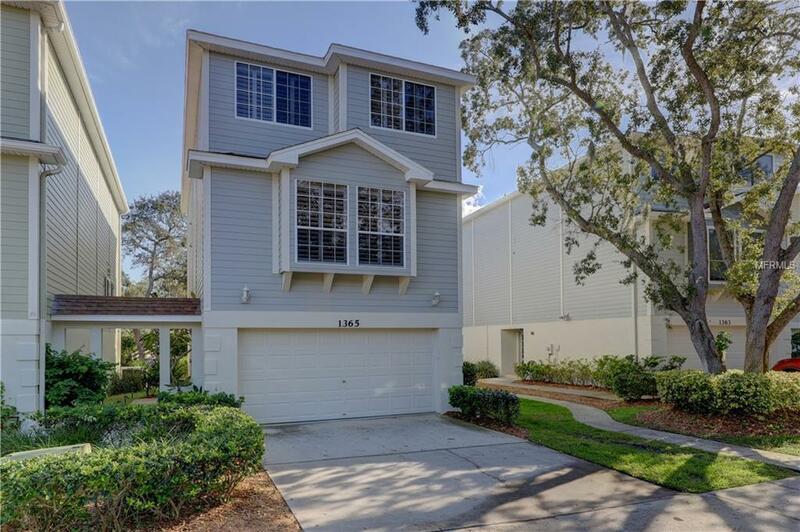 You wont want to miss this stunning detached Key West 3 story, rarely available Curlew Trails Townhome in Dunedin, Fl! Surrounded by mature landscaping and offering plenty of privacy. Move in ready home offering 3 bedrooms, 2 full baths, 2 half baths and 2340 square feet of luxurious living space and 3 balconies/patios. The lower level offers a family room or office, bath and 2 car garage. The main level features an open floor plan with kitchen, great room w/ wood burning fireplace and dining room. Retreat for a restful night to the upper level with 3 bedrooms and 2 full baths. The Master bedroom offers all the luxuries you need with a large walk-in closet and your own private balcony! Master bathroom with dual sinks, soaking tub and walk in shower. Other amenities include: HVAC 6 years new, exterior recently painted, planation shutters, built in fire sprinkler system, Stainless steel appliances, ceiling fans and fresh paint throughout. Community pool just steps away from your brick paved patio! Secluded paradise with the Gulf of Mexico, parks, golf courses, Dunedin causeway, Downtown Dunedin, grocery stores, restaurants all within minutes! This is one of those opportunities that you just have to see!